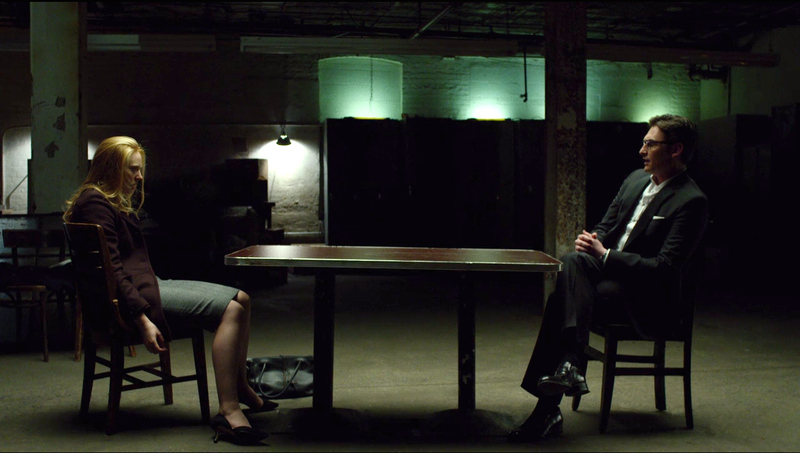 A look back over the Daredevil series on Netflix - including spoilers. It's not a good time to be Wilson Fisk. Like the man-mountain he is, he bursts into the hospital at the start of the episode, carrying his beloved Vanessa, felled at the end of the last episode by the poison in the champagne at the party. "Do you know who I am?" he roars to the hospital staff, but is proven powerless in the face of an enemy he can't punch, he can't outmanoeuvre, he can't buy - and is left standing dejected in front of a tiny nurse who blocks the way of the most feared man in Hell's Kitchen. 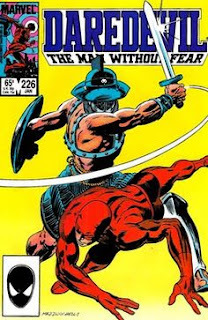 During the fight, Gladiator throws a saw blade at Daredevil, which is a nice Easter egg as the character in the comics carries throwable saw blades at times. The two come to an agreement, and Potter promises to make a suit for Daredevil. No, more than a suit. As Daredevil says, "A symbol." For much of the series, Karen Page has been shunted off to the side of the story and too often appears to be a victim. Here, however, she steps right up. First, she calls in on Matt and sees right through his "got hit by a truck" story and calls him out on it. Then, she pushes at Ben Urich to tell the story of Fisk having killed his father, though Ben rightly points out that won't work yet. She also confronts Foggy to pull him out of his funk and ask him what's going on between him and Matt. Things then take a turn for the worse. A tearful call follows between Karen and Ben, with Karen saying "Thank you for being there... for caring." This comes after Wesley discovers that Karen visited Fisk's mother and you just know the set-up is on for Karen to become a victim again... and then she isn't. Karen is captured by Wesley, that much is true, who has armed himself with a gun from one of Fisk's lackeys. She wakes in a room and facing a very grisly fate, it would seem. Wesley is in charge of the situation, in control. He tells her she was supposed to fade to "wherever you people fade". She asks: "Is that supposed to scare me?" Wesley calmly replies, "No. This is." And places the gun on the table. There's no Matt to come to the rescue here. No Foggy. And Karen doesn't need them. She discovers during the conversation that Wesley hasn't told Fisk about going to see his mother. She tells Wesley to kill her, Wesley keeps talking, but in a moment of distraction, Karen is able to seize the gun. Smiling, Wesley thinks he can talk his way out of it. Karen snaps back: "Do you really think this is the first time I've shot someone?" And puts six bullets into his chest.